The DoD is reporting a new death of a Marine supporting OEF. Lance Cpl. Randy M. Heck died in an undisclosed non-hostile incident in Djibouti, Africa on Sunday, March 28th. NATO is reporting the death of an ISAF soldier in an IED attack in an undisclosed location in southern Afghanistan on Tuesday, March 30th. We believe this to be an American. #1: A roadside bomb targeted the house of a director general in the culture and media ministry in south Baghdad, Tuesday, causing only material damages. #2: update Two magnetic bombs targeted two cars belonging to employees in the finance ministry, late Monday, killing one of the employees and injuring two civilian passers by. #1: An improvised explosive device went off targeting a U.S. convoy in northern Amara, without causing casualties, a deputy police chief said on Wednesday. “The bomb exploded late Tuesday (March 29), targeting a U.S. convoy in Kamiet district near a power station, northern Amara, without leaving casualties,” Colonel Sadeq Abdulazeem told Aswat al-Iraq news agency. #2: Policemen found on Tuesday a cannon and 31 mortar shells in central Amara, deputy police chief said. “Forces from the emmergency police dpartement managed on Tuesday (March 30) a cannon and 31 mortar shells in the industerial region in central Amara,” Colonel Sadeq Abdulazeem told Aswat al-Iraq news agency. #1: One citizen was killed on Tuesday by gunmen in southern Kirkuk, according to a senior police officer. “Unknonwn gunmen opened fire on Tuesday (March 30) on a citizen inside his store in al-Nsr neighborhood in southern Kirkuk,” Brigadier Sarhad Qader told Aswat al-Iraq news agency, noting that he died before carrying him to the hospital. #2: One gunman was wounded on Wednesday by policemen in central Kirkuk, according to a police source. “A joint patrol of U.S. forces and Iraqi police came this morning under an armed attack by a thermal bomb near the Kirkuk public hospital in central Kirkuk,” the source told Aswat al-Iraq news agency. “The forces opened fire on the gunmen, injuring one of them, while the rest of them fled to unknown place,” he added. #1: Two civilians were killed on Tuesday by gunmen in eastern Mosul, a police source said. “Armed men shot and killed two young men in al-Jamasa region in eastern Mosul and fled to an unknown place,” the source told Aswat al-Iraq news agency. #2: One civilian was wounded on Tuesday by a roadside bomb explosion in central Mosul, according to a security source. “The bomb went off targeting a police vehicle patrol in al-Kourniesh street, central Mosul, injuring a passing civilian, who was rushed to a nearby hospital for treatment,” the source told Aswat al-Iraq news agency. #3: Two Iraqi police officers were killed by an explosive device targeting their patrol unit in the northern city of Mosul, security forces said Wednesday. The police patrol was moving through the area of New Mosul, in the western part of the city, when the device exploded, security sources told the German Press Agency dpa. 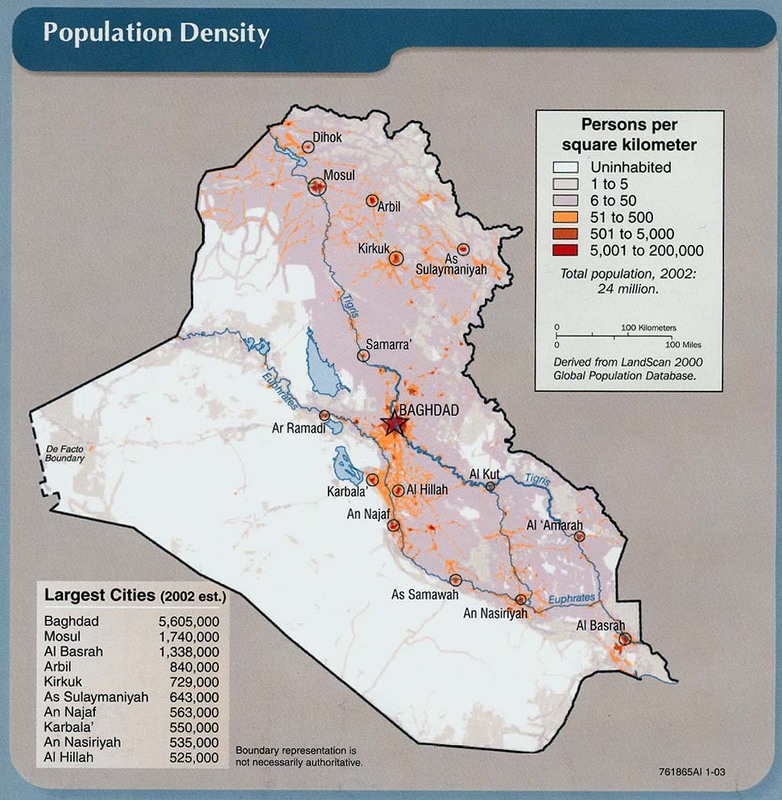 #4: A man and a woman were wounded on Wednesday in a hand grenade explosion in central Mosul, a security source said. “A gunman threw a hand grenade on a police vehicle patrol in Khaled bin Walied street, central Mosul, injuring the two persons,” the source told Aswat al-Iraq news agency. #1: Two persons were wounded when a roadside bomb went off in Talafar on Tuesday. “One of the casualties is a woman,” a local police source told Aswat al-Iraq news agency. #1: An improvised explosive device went off on Tuesday targeting a freight train in western Anbar, injuring the driver and two workers, according to a police source. “The bomb, planted on the rail between Akashat city and the Phosphate factory in western Anbar, exploded while a freight train was passing, injuring three civilians, including the driver and two of the train’s workers, one of them who remains in critical condition,” the source told Aswat al-Iraq news agency. #1: A bomb concealed on a bicycle killed at least eight people Wednesday in southern Afghanistan. The bomb went off in the Nahr-e-Sarraj district just north of Lashkar Gah, the capital of Helmand province, police said. It exploded near people who gathered to receive free vegetable seeds provided by the British government as part of a program to encourage them not to plant opium poppy, provincial government spokesman Daoud Ahmadi said. NATO said more than 35 civilians were wounded in the blast, and its forces were helping Afghan authorities control the scene. #2: In the Khyber tribal district that straddles NATO supply lines, Pakistan's military said 80 to 100 militants armed with guns, rockets and suicide vehicles attacked a paramilitary camp, sparking clashes that killed six soldiers. Troops said they repelled the militants from storming the paramilitary Frontier Corps camp in the lawless northwest district. Around 100 militants launched an attack on the camp in Jansi near Bara town around 2:00 am (2100 GMT), said local administration chief Shafirullah Wazir. "Security forces effectively responded and repulsed the attack. During an exchange of fire with security forces, about 20 terrorists were killed and more than 30 were injured," the military said. Six security force personnel were killed and 15 others wounded, while vehicles rigged up with explosives were destroyed. #3: Unmanned US aircraft fired three missiles that destroyed a compound in the North Waziristan, a stronghold of Afghan Taliban and Al-Qaeda affiliates, killing six suspected militants, Pakistani security officials said. The missiles struck a compound owned by Zamir Khan, a local tribesman, in the village of Tapi, about 20 kilometres (13 miles) east of Miranshah, the main town of North Waziristan, security officials said. 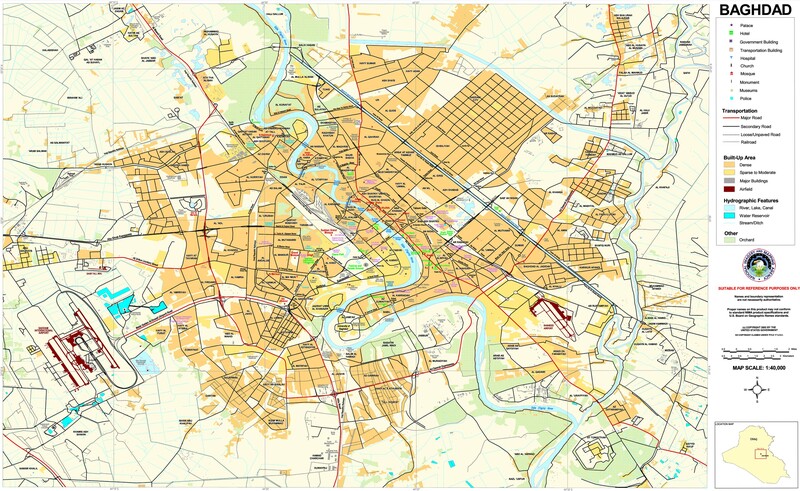 #1: Two civilians were wounded on Monday in a sticky bomb explosion in western Baghdad, a police source said. “The bomb, stuck to a civilian vehicle, went off near the Red Crescent hospital in al-Mansour neighborhood, western Baghdad, injuring two civilians” the source told Aswat al-Iraq news agency. #2: A bomb attached to a car killed a Finance Ministry employee in the Doura district of southern Baghdad, police said.A bomb attached to a car killed a Finance Ministry employee in the Doura district of southern Baghdad, police said. #1: Police forces have safely dismantled a rocket in Kirkuk, a local security source said on Tuesday. “During a late hour on Monday (March 29) evening, an emergency police force found a rocket inside a plastic tube and connected to a timer in al-Baath neighborhood, downtown Mosul,” the source told Aswat al-Iraq news agency. “Police patrols and bomb squad personnel soon arrived at the scene and defused the rocket,” the source noted, adding that no casualties were reported. #2: Police found a body of a civilian riddled with bullets in southern Kirkuk, 250 km (155 miles) north of Baghdad, police said. #1: Five civilians have been killed in western Afghanistan after their van hit a bomb planted in the road. Police spokesman Raouf Ahmadi says the vehicle was traveling outside the main western city of Herat early Tuesday. Ahmadi says two other passengers were wounded. He says the explosion occurred in Adraskan district. He did not say how many people were in the vehicle or give any more information about the dead. #2: Pakistani fighter jets bombed several militant hide-outs near the Afghan border Tuesday, killing at least 30 suspected insurgents, an official said. The assault took place in Orakzai, a tribal region where many Pakistani Taliban fighters are believed to have fled to escape an army offensive further south. The military launched another operation in Orakzai last week, and nearly 150 alleged militants and five soldiers have died in gunbattles and airstrikes so far. Local government official Sami Ullah said Tuesday that the troops were not facing much resistance. "The security forces are using jets and ground forces to target militant positions," Ullah said, detailing the latest casualties. NATO is reporting the death of an ISAF soldier in an IED attack in an undisclosed location in southern Afghanistan on Monday, March 29th. #1: A Finance Ministry employee has been killed when a sticky bomb hit his car in the capital Baghdad, a local police source said on Monday. “A sticky improvised explosive device (IED) hit a civilian vehicle in Abi Dasheer area, al-Doura neighborhood, southern Baghdad,” the source told Aswat al-Iraq news agency. #2: A magnetic bomb stuck to a civilian car exploded in Mansour neighbourhood at 7 a.m. Sunday seriously injuring the driver. #3: A roadside bomb targeted two Sahwa members in Jihad neighbourhood, west Baghdad, Sunday injuring them both. 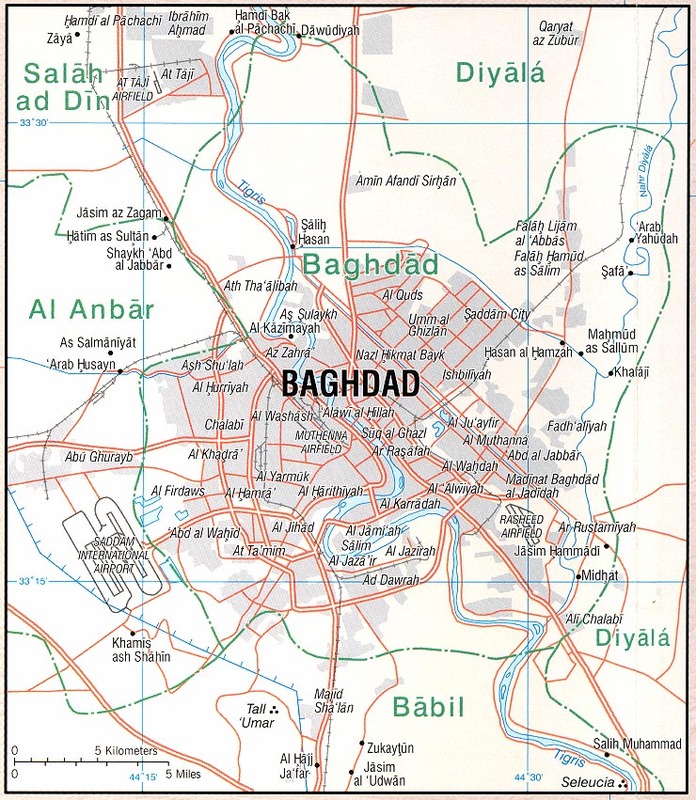 #4: A roadside bomb targeted civilians in Bataween neighbourhood, central Baghdad, Saurday, injuring five. #5: A sniper shot and killed Khaleel Ibraheem al Ubaidi, a Sahwa commander in Athamiyah neighbourhood, north Baghdad, Saturday. #1: Seven police personnel have been injured in an explosive charge blast in Diala’s Baaquba, a local security source said on Monday. “On Sunday evening, an improvised explosive device (IED) detonated near the house of the Katoun mayor in Baaquba,” the source told Aswat al-Iraq news agency. When police forces arrived at the scene of the blast, another explosive device went off on a main road in the area, wounding seven of them, according to the same source. #1-2: Iraqi police say a pair of car bombs in the holy city of Karbala killed at least four people and wounded 22, with the second blast detonating near the provincial governor's home. #1: Police officials said the first booby-trapped car exploded about 12:30 p.m. on Monday near a kindergarten and across from a restaurant popular with police about half a mile from the revered Imam Hussein shrine. #2: The second blast went off minutes later just 50 yards (meters) away in a residential street near the governor's residence. He was not near either blast. #1: The Iraqi army arrested a group of gunmen who were planning to fire rockets at Basra airport, where the U.S. forces are stationed, a security source said on Monday. “Those arrested had a launch pad in their possession,” the source told Aswat al-Iraq news agency.The arrest was made in al-Touba area (15 km northwest of Basra), the source pointed out. #1: Police forces on Monday found the body of a man who had been kidnapped by gunmen near Kirkuk, a local police chief said. “During an early hour this morning, police forces have found the body of Mutaz Nayef Dawoud al-Luhaybi, born in 1987, near Laylan district (10 km south of Kirkuk),” Brig. Sarhad Qader told Aswat al-Iraq news agency. The body bore signs of gunshot wounds, the official noted.The man, a resident of al-Orouba neighborhood, southern Kirkuk, had been kidnapped by unknown gunmen, who stole his vehicle, the official pointed out. #2: One police officer was wounded when gunmen clashed with police late on Sunday in Kirkuk, 250 km (155 miles) north of Baghdad, police said. #1: Sunday One civilian has been injured in an explosive charge blast in downtown Mosul, a local security source said on Sunday. “At noon, an improvised explosive device (IED) hit a Federal Police patrol vehicle in al-Farouq area, downtown Mosul, wounding one civilian,” the source told Aswat al-Iraq news agency. #2: An unidentified gunmen blew up a house that belongs to a Shamar clans chief in western Mosul city on Sunday, a police source in Ninewa said. “The gunmen detonated the house of Sheikh Harroush al-Salem Abdulaziz al-Djerba, a tribal chief of the Shamar clans in Iraq, in western Mosul neighborhood of al-Thawra,” the source told Aswat al-Iraq news agency. “The gunmen raided the house and claimed that they were secret detectives that evacuated the house and blew it up,” the source added. #3: Clashes between police and insurgents killed a civilian who works with the police and wounded another in western Mosul, 390 km (240 miles) north of Baghdad, police said. #1: A NATO helicopter crashed Monday in southern Afghanistan, injuring 14 people, the international force said. The coalition said no one is reported to have been killed in the helicopter crash and that all personnel on board were evacuated to nearby medical facilities. Jilani Farah, deputy police chief in Zabul province where the crash occurred, said 14 people were injured, including international service members, three Afghan soldiers and one Afghan policeman. NATO confirmed that 14 people were injured in the crash, and said that none of them sustained life-threatening injuries. #2: Taliban militants fired at least one rocket at a principal US military base in Afghanistan hours after President Barack Obama ended a surprise six-hour visit, officials said Monday, DPA reported. Hours after the president left Bagram airfield, where he spoke to about 2,000 soldiers, the base came under a rocket attack, Jeffery Loftin, a NATO spokesman in Kabul said. "There was an indiscriminate fire, but there were no causalities," he said, noting that Obama "was already gone" when the rocket hit.The Taliban said in a statement posted at their website that three rockets were fired into the base. #3: An Australian soldier and an Afghan interpreter were wounded on Sunday, following a series of incidents over the weekend involving Improvised Explosive Devices (IED). The soldier and the interpreter were travelling as part of a foot patrol in the Mirabad region of Oruzgan Province on 28 of March 2010 when they were struck by the blast from an IED. The interpreter suffered serious wounds while the soldier was only slightly wounded. #4: On Saturday, three Australian soldiers and two Afghan National Army soldiers were wounded in multiple IED incidents.Commander Joint Task Force 633, Major General John Cantwell, said the combined Afghan and Australian patrols were involved in 10 separate incidents over the weekend, eight involving IEDs and two small-arms fire attacks. #5: The Pakistani Army reportedly killed 22 Taliban insurgents near the Afghanistan border on Sunday after a group of militants attacked an army base with rockets and utomatic weapons. The Dawn quoted Samiullah Khan, a Pakistani government official, as saying that the fighting occurred in the Orakzai tribal region where the army is on the offensive. He added that security forces first killed 10 militants in a retaliatory attack and the military helicopter gun ship later bombed hideouts in the Chapri Ferozkhel area, killing another 12. #6: Some unidentified hijackers took away a truck here near Hasanbadal, carrying goods for the NATO forces stationed in Afghanistan on Saturday, said police sources on Sunday. According to the sources, the truck was snatched near Burhan in the Hassanabdal Police Station jurisdiction on March 22. Talking to APP, the investigation officer Mumtaz Khan said, the truck bearing number Y-0057, comprising crew namely Ihsan Ul Haq, Hazrat Ali and Bakhat Rawan, was carrying goods for NATO forces, when the hijackers garbed it by pretending themselves as custom personnel. They forced the truck crew to sit in their vehicle and took them away, which were freed up later. Iraqis clear debris at the site of twin blasts in the city of Khales, northeast of Baghdad. The casualty toll of the twin bombings in Khales has risen to 52 dead and 73 wounded, a security official said. (AFP) This occurred yesterday and was noted in yesterday's post. A series of explosions apparently targeting a leader of the Development and Reforms movement, a small party in the al-Iraqiya bloc, kills 6 people. The dead include movement leader Ghanim Radhi, who was not himself a candidate for parliament. As this MSNBC report notes, accounts conflict as to whether the house that was targeted belonged to Radhi himself, or to Sheik Murdhi Muhammad al-Mahalawi, who was a candidate. Other reports describe the blasts as "roadside bombs," but these seem more credible. The location is remote so the confusion is not unusual. -- C Reuters also reports 15 people injured. Bomb attack near a police officer's house in Albo Ebeid causes damage but no casualties. One Iraqi soldier killed, 1 injured in drive by shooting late Saturday. Asaib Ahl al-Haq (League of the Righteous) releases kidnapped U.S. contractor Issa T. Salomi, claiming it did so in exchange for 4 prisoners held by the U.S. The U.S. had no comment. The U.S. had previously been in reconciliation talks with the group and had released hundreds of its members before talks broke down. Iyad Allawi starts efforts to form a governing coalition. As Leila Fadel tells us, in addition to wooing potential Shiite and Kurdish partners, "He will also almost certainly have to make overtures to predominantly Shiite Iran, which is more influential in Iraqi politics than the United States." [O]fficials with Maliki's State of Law bloc and a fellow Shi'ite coalition, the Iraqi National Alliance, say they are talking about a merger that would make anti-American Shi'ite Moqtada al-Sadr, whose Mehdi Army fought fiercely against U.S. troops, a power player in Iraq's new political landscape. "The government will not form (from other than) State of Law and INA because the kingmaker now is Moqtada al-Sadr," Iraqi political analyst Ibrahim al-Sumaidaie said. "Moqtada will not stand in front of the Shi'ites and Iran and tell them 'I got you a mainly Sunni government with Baathist links.'" Al-Hayat reports in Arabic on the emergence of the Sadr Movement as the largest Shiite party within the Shiite fundamentalist coalition, the Iraqi National Alliance. 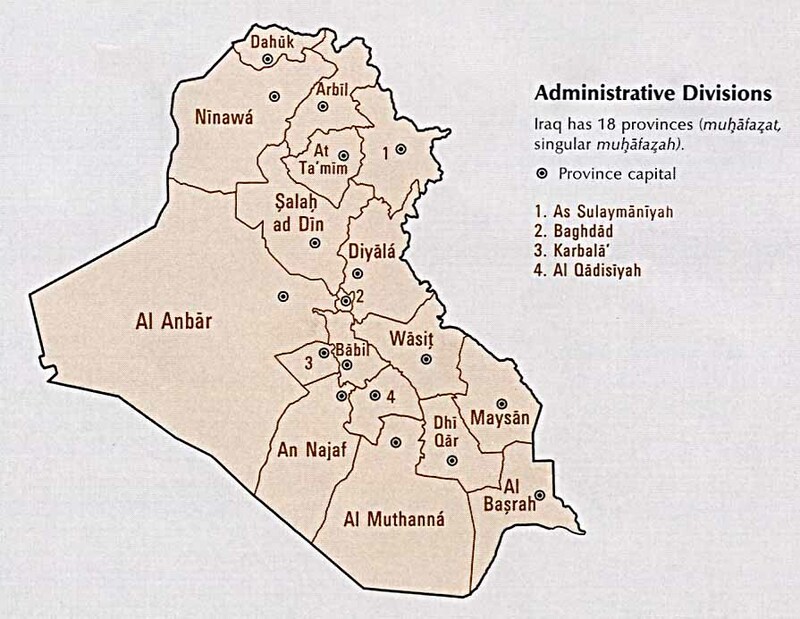 The Free Independent (al-Ahrar) party that represented the Sadrists won 38 seats out of the 70 that the INA garnered, making the Islamic Supreme Council of Iraq, the Islamic Virtue Party and other Shiite religious components of the list much smaller and less weightier in the coalition's deliberations. No sooner, the article says, than the election tallies began coming in did the government of Prime Minister Nuri al-Maliki begin gradually releasing Sadrist prisoners who had been in Iraqi penitentiaries for years. Al-Hayat's sources say that in Babil Province, orders were received from the government to release members of the Sadr Movement, in an attempt to mollify that group. al-Hayat is also reporting that a couple of days ago representatives of the Sadr Movement and of al-Maliki's State of Law met in Tehran in an Iranian-backed attempt quickly to form a new Shiite-dominated government. In Iran for the talks were President Jalal Talibani and his Shiite vice president, Adil Abdel Mahdi of the Islamic Supreme Council of Iraq. 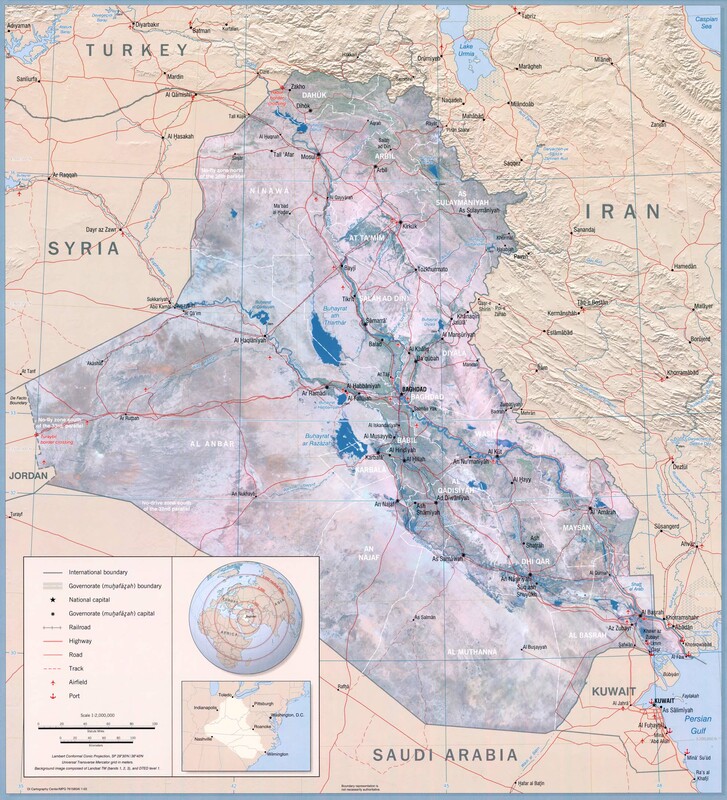 This move underlines the way in which Iraq's election has geopolitical as well as local significance. Also that Iran is sitting pretty while the US prepares to withdraw. On Thursday, a day before the results were announced, he quietly persuaded the Iraqi supreme court to issue a ruling that potentially allows him to choose the new government instead of awarding that right to the winner of the election, the former interim prime minister Ayad Allawi. And if all that does not work, the prime minister still is clamoring for a recount, and he said he planned to file a legal appeal even though the United Nations, the elections commission and international observers have declared the election valid. Six civilians killed in 2 separate IED explosions in Helmand; 5 children injured by explosion in Herat. More than seven years ago, a suspected Afghan militant was brought to a dimly lit CIA compound northeast of the airport in Kabul. The CIA called it the Salt Pit. Inmates knew it as the dark prison. Inside a chilly cell, the man was shackled and left half-naked. He was found dead, exposed to the cold, in the early hours of Nov. 20, 2002. . . . The man was Gul Rahman (gool RAHK'-mahn), a suspected militant captured on Oct. 29, 2002, a U.S. official familiar with the case confirmed. The official said Rahman was taken during an operation against Hezb-e-Islami Gulbuddin, an insurgent group headed by Afghan warlord Gulbuddin Hekmatyar (gool-boo-DEEN' hek-mat-YAR') and allied with al-Qaida. . . . It remains uncertain whether any intelligence officers have been punished as a result of the Afghan's death, raising questions about the CIA's accountability in the case. The CIA's then-station chief in Afghanistan was promoted after Rahman's death, and the officer who ran the prison went on to other assignments, including one overseas, several former intelligence officials said. British soldier from Third Battalion The Rifles has been killed by a car bomber in Afghanistan on Saturday, on the same day another soldier killed by a grenade was named. A soldier from Suffolk killed in Afghanistan on Friday was named as Lance Corporal Jonathan Woodgate. A clash between Taliban and police in west Afghanistan's Farah province left two militants dead and two others injured, police said on Sunday. "If the U.S. Marines at Combat Outpost Turbett have any problems with their Afghan colleagues, they're with the Afghan soldiers who followed them into battle against Taliban fighters, not with the elite police officers who have stepped in to help fill the security vacuum. While the Marines praise the Afghan National Civil Order Police force, they can barely conceal their contempt for the Afghan soldiers who live alongside the Americans in this one-time drug den in Marjah," reports McClatchy's Don Nissembaum. However, the Afghan police in general do not get much love, says the AP. Britain's Foreign Office says the U.K. has deep concerns over progress in building an Afghan national police force. Its comments come as the Independent on Sunday newspaper reported that, in a series of memos, Foreign Office officials complained about the standard of police recruits — criticizing the fitness, poor literacy and lax vetting of candidates. It quoted one document suggesting drug testing for police should be compulsory. A series of internal Foreign Office papers obtained by The Independent on Sunday lay bare the deep concerns of British officials over the standard of recruits to the Afghan National Police (ANP), ranging from high casualty rates and illiteracy to poor vetting and low pay. The memos, which warn that building an effective police force "will take many years", also reveal how non-existent "ghost recruits" may account for up to a quarter of the purported strength of the police force, often the front line against the Taliban insurgency. The "attrition rate" among police officers – including losses caused by deaths, desertion and dismissals, often due to positive drug tests – is as high as 60 per cent in Helmand province. Muqtada al-Sadr will not return to an occupied Iraq. He has said more than once that he will only return when the American occupiers have left. There is no doubt that gaining the rank of ayatollah will empower the Sadrist bloc. It will also broaden the Sadrists’ base by giving those who love Sadr the chance to follow him as a marja. Note: Muqtada al-Sadr is in the Iranian city of Qom pursuing religious studies. The British MoD is reporting the death of a British ISAF soldier from small arms fire/grenade attack 3kms south of the Sangin district centre, Helmand Province, Afghanistan on Friday, March 26th. NATO is reporting the death of an ISAF soldier in an IED attack in an undisclosed location in southern Afghanistan on Saturday, March 27th. NATO is reporting the death of another ISAF soldier in an IED attack in an undisclosed location in southern Afghanistan on Friday, March 26th. #1: Five civilians were killed in an improvised explosive device blast in central Baghdad on Saturday, an Iraqi police source said. “An IED went off in al-Batawiyeen neighborhood, central Baghdad, leaving five civilian men wounded,” the source told Aswat al-Iraq news agency. #1: twin bombings hit a busy area in the town of Khalis, about 50 miles north of Baghdad, just before the election results were announced Friday night. The police spokesman for Diyala province, Capt. Ghalib al-Karkhi, said Saturday that 57 people were killed and 73 were wounded in the explosions, first from a car bomb that went off outside a restaurant and then from a roadside bomb just a few steps away. #2: Three civilians were killed and another wounded when unidentified gunmen opened fire on a gathering in the district of Saadiya on Saturday, a security source in Diala said. “Gunmen opened fire on a gathering of four civilians who were standing in front of their house in al-Wihda neighborhood, central Saadiya, (100 km) north of Baaquba, leaving three of them killed and another wounded,” the source told Aswat al-Iraq news agency. #1: Three Iraqi army soldiers were wounded when a roadside bomb went off east of Tikrit city on Friday, an Iraqi army source said. “The blast targeted an Iraqi army convoy,” the source told Aswat al-Iraq news agency. An army vehicle was also destroyed in the explosion, he added. #1: U.S. forces killed a gunman and wounded two others while attempting to plant a roadside bomb south of Mosul city on Friday, a local police source said. #1: One Iraqi soldier was killed and two more were wounded in a bomb explosion in eastern Falluja, a police source said on Friday. “An improvised explosive device went off targeting an army vehicle patrol in al-Qanater region in al-Karma district, eastern Falluja, killing a soldier, injuring two and damaging the vehicle,” the source told Aswat al-Iraq news agency. #1: Pakistani air strikes killed nine suspected insurgents Saturday in a tribal region near the Afghan border, an official said, bringing the total killed in a military offensive there to more than 100 this week. The fighting occurred in Orakzai, a tribal region where many Pakistani Taliban militants are believed to have fled to avoid an earlier army offensive in their main stronghold farther south. #2: An Afghan civilian was killed and ten others were injured as a roadside bomb struck a passenger minibus in country's western Farah province on Saturday, a statement of Interior Ministry said. "The incident occurred in Pushtroad district in the wee hours of today as a result a civilian was killed and ten others were wounded,"the statement said. #3: A gunman attacked a group of German and Afghan aid workers inspecting a high school under renovation in eastern Afghanistan on Friday, killing one person and injuring several others, officials said. One of those wounded in the attack in Khost province was a German citizen, said a spokesman for the German Foreign Office, speaking on condition of anonymity in line with department policy. The person who was killed was Afghan. In Khost, the attacker opened fire from a vehicle as he approached the site in Khost City and then fled to a nearby house, where he engaged police in a gunbattle that was ongoing Friday evening, said acting provincial Gov. Taher Khan Sabari. A total of three people were wounded in the initial attack, including the German and two Afghans, said the German spokesman and a local police official, Gulam Mohammad. The Foreign Office did not identify the German aid organization involved in renovating the school. Several others were wounded in the gunbattle that followed the initial assault. Local hospital official Amir Pacha said a total of nine people were being treated for injuries, including three police. #4: Elsewhere in Afghanistan on Friday, NATO forces treated three injured children who were brought to a base in the central province of Uruzgan just after troops had completed a live firing exercise. An investigation has been launched to determine the cause of the injuries, the international force said in a statement. #5: A gun battle between Taliban insurgents and police left three militants dead in Afghanistan's southern Ghazni province Saturday, provincial police chief Khayalbaz Shirzai said. "The rebels stormed the headquarters of Rashidan district in the wee hours of today and police with the support of NATO-led troops retaliated, killing three insurgents forcing others to flee, "Shirzai told Xinhua. However, he did not say if the troops used airpower in the operation. #1: A Sahwa leader was killed on Thursday and two more were wounded in a bomb explosion in western Baghdad, a police source said. “An improvised explosive device went off in al-Ray neighborhood in western Baghdad, killing Ahmad Mahmoud Abd Uhud, a Sahwa (Awakening) leader, and seriously wounding two of his companions, who were rushed to a nearby hospital for treatment. #2: One woman and her daughter were killed in an armed attack in southeastern Baghdad, a police source said on Thursday. “Three gunmen stormed a house in Jisr Diala region in southeastern Baghdad, killing a woman and her daughter and fled to unknown place. #1: A civilian man was killed and four others wounded when an improvised explosive device (IED) went off near a motorcade of the police chief of Touz Khormato district on Thursday evening, a local security source said. “An IED planted by unidentified gunmen in central Touz Khormato, (80 km) south of Kirkuk province, went off near the motorcade of the district police chief, killing one civilian and wounding four others,” the source told Aswat al-Iraq news agency. “The motorcade was intact,” he said, adding the wounded were rushed to a nearby hospital for treatment. #1: Unidentified gunmen kidnapped a medical doctor in front of his house in central Kirkuk on Thursday, according to a senior security official in the city. “Gunmen boarding a vehicle with an unidentified number plate kidnapped Dr. Hashim Mohammed Amin on the Baghdad Road, central Kirkuk,” Brig. Sarhad Qader, the director of the Kirkuk Districts’ Police Department (KDPD), told Aswat al-Iraq news agency. #2: A civilian man was wounded by unidentified gunmen fire in Kirkuk on Thursday, a local security source said. “Unidentified gunmen in a vehicle opened fire on a local resident in area between al-Qadissiya and al-Nasr neighborhoods, leaving him sustaining several wounds in the chest,” the source, who is from the Kirkuk-based Joint Coordination Center (JCC), told Aswat al-Iraq news agency. #1: A policeman and a child were wounded in an improvised explosive device (IED) blast in central Mosul city on Thursday, a local police source in Ninewa said. “The IED attack targeted a police patrol in the area of al-Mikkawi, central Mosul, leaving a policeman and a child who happened to be near the blast scene wounded,” the source told Aswat al-Iraq news agency. #1: Five Pakistani soldiers and at least 21 suspected militants were killed in clashes in a region near the Afghan border where the military is pursuing Taliban insurgents fleeing a U.S.-backed offensive, authorities said Friday. Local government official Sami Ullah said the fighting occurred after dawn Friday when militants attacked a checkpoint. He said at least 27 militants died. But an army statement said 21 insurgents were killed, and the clashes occurred when security forces were trying to recapture a checkpoint taken Thursday night by militants in the Kalaya area of Orakzai. #2: The reports came a day after officials said 61 suspected militants died in airstrikes in the same region, Orakzai, and underscored the challenge facing Pakistan as it tries to wipe out Pakistani Taliban fighters bent on overthrowing the state. On Thursday, jet fire rained down in the Mamuzai area of Orakzai, targeting a religious seminary, a mosque and a school, local official Samiullah Orakzai said. The center was targeted because a group of Taliban leaders were believed to be meeting there in the afternoon, the officials said. Some four dozen people died in the airstrikes in and around the seminary, while 13 others were killed in morning strikes at the two other sites. The officials said all 61 killed were suspected militants. #3: A provincial police chief said six Taliban fighters and two construction workers were killed in an air strike by foreign troops southeastern Paktika province. However, the NATO-led International Security Assistance Force (ISAF) said no air strike had taken place there. Provincial police chief Dawlat Khan Zadran said the air strike was summoned after the Taliban ambushed a joint convoy of Afghan and foreign forces. One police officer was wounded, but there were no casualties among foreign forces from the Taliban ambush, he said. An ISAF spokesman said a "minor clash" had taken place, but aircraft did not fire and there were no reports of casualties. #4: Two Afghan children were killed and four members of their family were wounded by shrapnel after an exchange of fire between militants and foreign forces in Khost province, near the border with Pakistan, the NATO-led force said. The international force said in a statement that it was treating the wounded and investigating which side was responsible for the shooting that caused the civilian casualties. #5: The Afghan army killed six insurgents in an operation in Marjah district of southern Helmand province on Wednesday, the Afghan Ministry of Defence said. #1: Two Iraqi policemen have been wounded when unknown gunmen threw a hand grenade at them in Kirkuk, a local police officer said on Thursday. “On Thursday, unknown gunmen threw a hand grenade at an emergency police patrol on al-Korneesh St., southern Kirkuk, wounding two personnel,” Lt. Col. Kamel Ahmed told Aswat al-Iraq news agency. #1: One policeman was killed and five others were injured when a bomber blew himself up in eastern Ramadi, a local police source said on Thursday. “During an early hour this morning, a suicide bomber blew himself up near a gathering by police and army personnel close to Albo Ebeid area,” the source told Aswat al-Iraq news agency. A 17-year-old suicide bomber blew himself up in the house of Colonel Waleed Mohammed, who heads the Department of Fighting Terrorism in the town of Hit, killing three people and wounding three others on Wednesday, police said. Mohammed was not there at the time of the attack. 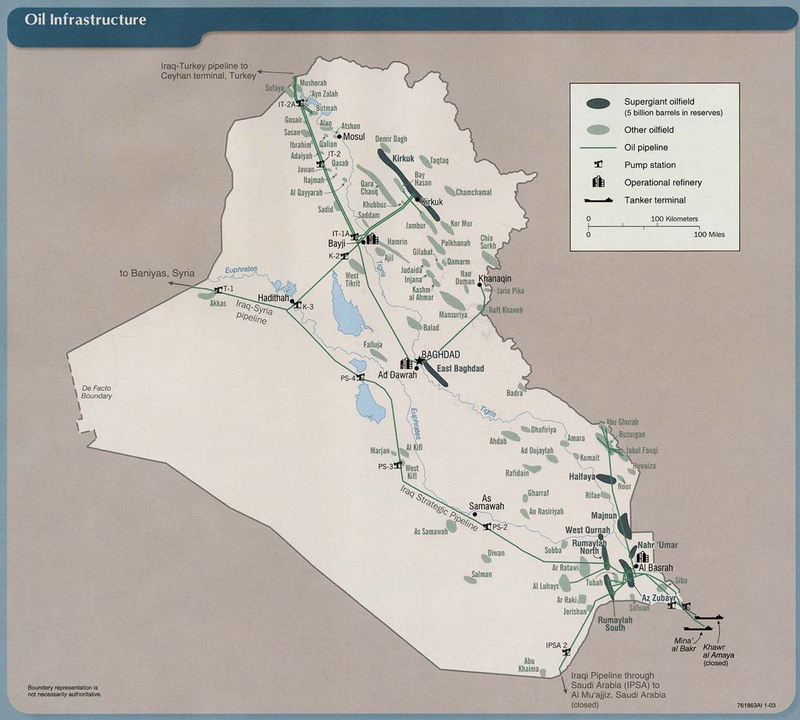 Hit is about 130 km (80 miles) west of Baghdad. #1: A civilian helicopter carrying two German troops and a group of engineers has made a 'hard landing' in northern Afghanistan after coming under attack by Taliban militants. The chopper made an emergency landing in the Dashti Archi district after it was hit by small arms fire at 12:30 local time (0800 GMT) on Wednesday. All people aboard discharged the helicopter after the incident but were then targeted by the militants. However, no casualties were reported in the incident, Pajwak News Agency said. Dashti Archi governor Sheikh Saauddin said the NATO-led International Security Assistance Force (ISAF) helicopters airlifted the military personnel to a base in the northern Kunduz province. #2: Security forces killed four militants in a clash in the northwestern region of Orakzai, a local government official said. #3: Separately, residents found two bodies of pro-government tribal elders, believed to have been killed by Taliban militants, on the side of a road in the region on Thursday, local officials said. #4: Pakistan's security forces on Thursday killed at least 10 militants and injured two others in retaliation when a group of them attacked a security check post in northwest Pakistan's tribal area, local sources said. It was the second attack launched by militants against the security forces in the Orakzai tribal agency in the last 24 hours. Afternoon Updates: Teen age suicide bomber kills 3 people in Heet, in an attack on the home of Lieutenant Colonel Walid Sulaiman al-Heeti. Heeti was rebuilding the house after it was destroyed in an earlier bombing. Three civilians injured by roadside bomb on Palestine St.
Hand grenade attack on a police patrol kills 1 civilian, injures 1 civilians and 1 police officer. One "militant" killed, 1 injured in gun battle with Iraqi troops. Bomb disposal expert killed trying to defuse a roadside bomb. For what it's worth, Islamic State in Iraq, which uses the al Qaeda brand name, releases an audio taking credit for election day violence and vowing attacks on U.S. troops. Senior politicians from Prime Minister Nouri al-Maliki's ruling coalition warned yesterday that Shiite-dominated southern Iraq could severely loosen its ties with Baghdad if the nation's electoral commission failed to meet its demand for a manual recount of parliamentary election results. The politicians, who also echoed al-Maliki's warning Sunday that sectarian violence could return without a recount, accused the U.S. of working against them. In turn, Western diplomats and advisers to the Iraqi government described al-Maliki's circle as terrified of losing power and said Iraq is entering a dangerous period. Two mine clearers killed, 2 injured when their vehicle hits an IED in Uruzgan. They were clearing Soviet era mines but this was apparently a remote-controlled bomb planted by Taliban. Two NATO troops killed by a bomb, no further information available at this time, including the nationality of the casualties. Two insurgents and 3 police killed in fighting in Ghazni. Karzai is in Beijing for a summit with president Hu. Afghanistan needs billions for water infrastructure, for irrigation, and electricity. Most water now flows out of the country. Of course, if Afghanistan builds more dams, its neighbors won't be happy. The resource is finite. The DoD is reporting a new death previously unreported by the military. Sgt. Joel D. Clarkson died at Landstuhl Regional Medical Center, Germany on Tuesday, March 16th. He was originally wounded during combat operations in an undisclosed location in Helmand province, Afghanistan on Saturday, March 13th. The DoD is reporting a second new death previously unreported by the military. Chief Petty Officer Adam Brown death is only reported as being in an undisclosed location in Afghanistan on Thursday, March 18th. The DND/CF is reporting the death of a Canadian soldier. Cpl. Darren James Fitzpatrick died at at the University of Alberta Hospital, Canada on Saturday, March 20th. He was wounded in an IED attack 25 km West of Kandahar, Kandahar province, Afghanistan on Saturday, March 6th. NATO is reporting the deaths of two ISAF soldiers in two separate IED attacks in undisclosed locations in southern Afghanistan on Monday, March 22nd. #1: In the first development, four civilians sustained injuries on Tuesday as an improvised explosive device went off near al-Olwiya Hospital in downtown Baghdad. The blast also shattered windows of the buildings nearby and damaged vehicles parked in the area. #2: A roadside bomb was also detonated near a bank in al-Karada region in central Baghdad. The blast caused damage to the bank and nearby stores. However, there were no reports of injuries or loss of life in the incident. #3: “An explosive device blew up near the Babel Hotel in al-Karada neighborhood," wounding two civilians who were taken to a nearby hospital,” a police source told Aswat al-Iraq news agency on condition of anonymity. #1: One civilian has been wounded when a sticky bomb detonated in Amara City, a local police officer said on Tuesday. “Today, a sticky improvised explosive device (IED) hit a civilian vehicle in Qitaa 30 area, downtown Amara, wounding its driver,” Col. Sadeq Abduladheem told Aswat al-Iraq news agency. #1: An Iraqi police officer has survived an attempt on his life when an explosive charge targeted his house in Kirkuk, a local police chief said on Monday. “On Monday, an improvised explosive device (IED) went off in front of the house of an officer at Huweija market (65 km southwest of Kirkuk), causing damage to the officer’s car and house,” Brig. Sarhad Qader told Aswat al-Iraq news agency.No casualties were reported, the official noted. #1: One civilian was killed in western Mosul on Monday by gunmen, according to a security source. “An electrician was killed Monday evening (March 22) by gunmen in front of his house in al-Tink neighborhood, western Mosul,” the source told Aswat al-Iraq news agency. #2: Three mortars hit an area in eastern Mosul city on Tuesday noon. “The attack left no casualties,” a local security source told Aswat al-Iraq news agency. #1: Police forces have defused a sticky improvised explosive device (IED) found inside a civilian vehicle in Falluja, a local security source said on Tuesday. “Bomb squad personnel have managed to defuse a sticky device found inside a civilian vehicle, which passed near a security checkpoint,” the source told Aswat al-Iraq news agency.No casualties were reported, the source noted. #1: A NATO military helicopter crashed in southern Afghanistan today with Turkish soldiers on board, but the military alliance denied that anyone had been killed. The chopper came down on the outskirts of Wardak town, capital of the province of the same name south of Kabul, at around 0600 GMT, provincial spokesman Shahidullah Shahid told AFP. He said one of the Turkish soldiers on board was killed and three others injured but NATO denied there were any deaths. "There are no fatalities," said Lieutenant Colonel Todd Vician, spokesman for NATO's International Security Assistance Force (ISAF). He said that four or possibly five people had been injured according to initial investigations. The crash happened as two helicopters were landing at a Turkish-run base, Shahid said, adding that both belonged to NATO member Turkey. One crashed into a hillside near the base, known as a provincial reconstruction team (PRT), while the other landed safely, he said. "One Turkish soldier has been killed and three injured in the helicopter crash today," he told AFP. The British MoD is reporting the death of a British ISAF soldier in an IED attack 3km south of Sangin district, Helmand province, Afghanistan on Monday, March 22nd. #1: Iraqi police and hospital officials say gunmen riding a motorcycle shot dead two municipal officials in Baghdad. Authorities said the victims were members of the local municipal council in Sadr City, an eastern Baghdad district that's home to an estimated 2.5 million Shiites. The two were killed Monday as they were trying to hire a taxi to go to work. One of the victims died on the scene, while the second succumbed to his wounds later in hospital. #2: Six civilians have been injured in an explosive charge blast in the capital Baghdad, a local police source said on Monday. “This morning, an explosive device went off in al-Rashad neighborhood, close to Sadr City (eastern Baghdad), wounding six civilians,” the source told Aswat al-Iraq news agency. #3: The chief of the Iraqi press syndicate on Monday said that unknown gunmen had targeted his convoy in Baghdad, seriously wounding his driver. “On Sunday evening, unknown gunmen opened fire on our convoy in southwestern Baghdad, seriously wounding my driver,” Muayyad al-Lami told Aswat al-Iraq news agency. A police source said that the gunmen attacked Muayyad’s car with small arms fire on the highway near al-Biyaa neighborhood, southwestern Baghdad. #4: Two Iraqi policemen have been killed in an armed attack in the capital Baghdad, a local police source said on Monday. “Unknown gunmen opened fire on a police checkpoint in al-Radwaniya area, southwestern Baghdad, killing two police personnel,” the source told Aswat al-Iraq news agency. #1: A car bomb exploded as a police bomb squad tried to disarm it, wounding one policeman, in the town of Hawija, outside Kirkuk, 210 km (130 miles) north of Baghdad, police said. #1: Suspected U.S. drones fired missiles Sunday at a house and car in a militant- dominated tribal region near the Afghan border, killing at least four people, officials said. The attack occurred in the Datta Khel area of North Waziristan, two intelligence officials said. The drones fired three missiles, they added, speaking on condition of anonymity because they were not authorized to talk to the media. #2: Separately, the bullet-riddled bodies of four Pakistani tribesmen, killed for allegedly spying for the United States, were found Sunday elsewhere in North Waziristan, witnesses and officials said. Officials said the four dead tribesmen were kidnapped by the Taliban about 10 days ago. #3: A NATO-led patrol shot dead an elderly Afghan man after he refused to leave a house during a search for Taliban leaders. The man was shot in Wardak province, southwest of Kabul, during the operation by Afghan and foreign soldiers on Sunday, NATO's International Security Assistance Force (ISAF) said. #4: Separately, ISAF said two rockets hit the military annex of Kabul's international airport on Sunday, with a third landing outside the perimeter. A fourth rocket landed in the Pul-e-Charke district of eastern Kabul, an area of military bases, it said, adding it had no reports of casualties at the airport. #5: At last 40 Taliban militants have been killed in clashes and gun battle in Afghanistan's southern Helmand province over the past week, a local official said on Monday. "Taliban stormed Shah Kariz village in Musa Qala district last Monday and so far over 40 rebels had been killed," district chief Mullah Abdul Salam told Xinhua. Salam said seven police also lost their lives during the fighting and 18 other police personnel were wounded. Explosion near Tho al-Tabiqeen Bridge as a police patrol passes kills 1 officer, injures 2. Assault on the motorcade of Hossam Abdullateef, the director general of the Social Care Department in the Ministry of Labor, results in injury to his driver. Adullateef is uninjured. A woman is killed and a man injured in an armed assault on the home of a Sahwa member. Body found of a policeman, dead of gunshots to the head. IED attack on an Iraqi army patrol injures 2 soldiers. "The March 7th elections represented a big step on the road to reinforcing the democratic experience in Iraq; and because of the demands by a number of political blocs for a manual vote recount and in order to protect the democratic experience and preserve the integrity of the electoral process," he said. "I call on the Independent High Electoral Commission to immediately respond to these blocs' demands in order to preserve the political stability and prevent the deterioration of the security situation and the return of the violence that was only defeated after effort, blood and hardship." "This is a clear threat against the commission that aims to put pressure on it, in order to carry out fraud in favour of (Maliki's) State of Law Alliance" said Intisar Allawi, a senior candidate of the Iraqiya bloc headed by Iyad Allawi. She added that Maliki's statement Sunday calling for a manual recount was a "contradiction" that was fuelled by news that Iraqiya had taken the lead in the nationwide vote tally. "While he says that the election is accurate, fair and transparent, when Iraqiya takes the lead, he accuses the commission," said Intisar Allawi, a relative of Iraqiya's leader. She noted that a manual recount "would mean a delay of the results for several months. This would lead to a political vacuum that would affect the security situation." And the Electoral Commission tells Maliki to go pound sand. Meanwhile, in the U.S., while most people including politicians and the corporate media appear largely to have forgotten, thousands of demonstrators marked the 7th anniversary of the invasion in Washington, D.C. and elsewhere. Voice of America reports, under its "Asia" classification. Several days of anti-war activities in Washington have culminated with the procession of symbolic coffins across the streets of the capital. Many demonstrators said they had supported President Barack Obama in his election in 2008, but were now disappointed in the lack of change from previous policies, and the ongoing wars in Iraq and Afghanistan. The sound of drums rallied thousands of protesters who came together to denounce the use of American military force. . . .
Josh Stieber, an Iraq war veteran, explained his transformation from soldier to protester. "I guess it was a process of waking up to what I was actually doing and just as I am helping set up all these memorials out here, I think back to some of the things that were part of my day to day life in the military even before I got to Iraq, just how some of our battle cries would be things like kill them all," he said. Abigail Fielding-Smith reports on the tense situation in the Arab-Kurdish border region. It's a lengthy piece. The snip below gives a flavor. It's worth reading for its richness of detail. 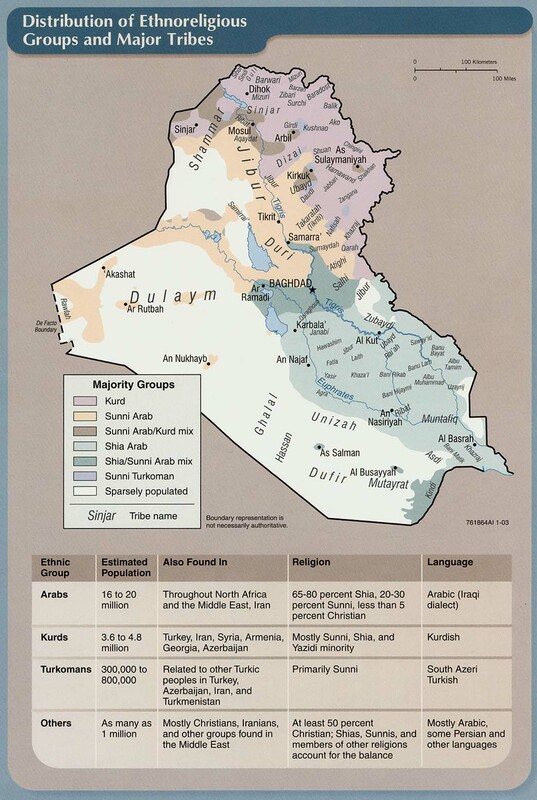 Under Saddam Hussein, the region's Kurdish minority was excluded from power, but it came to dominate the provincial government after Iraq's 2005 elections, which many Sunni Arabs boycotted. In power, Kurdish parties showed scant regard for bridge-building; in the 2009 provincial elections, Sunnis returned to the polls and al-Hadba, the Arab nationalist party to which al-Nujaifi is affiliated, refused to offer senior posts to anyone from the main Kurdish parties. A boycott movement sprang up, urging officials from Kurdish areas, such as al-Kiki, to cut their links with the provincial government. So, on the morning that [Provincial Governor] al-Nujaifi appeared in [the Kurdish town of] Talkeef, a crowd of demonstrators started to gather. When al-Kiki [Kurdish head of the District Council] went to the town gate to explain the sensitivities of the situation, he was faced with five American trucks approaching the checkpoint, plus tanks and helicopters. “The head of the peshmergas was talking to the Americans, and he received a call from above telling him to let al-Nujaifi go," al-Kiki told me. The armoured vehicles eventually passed through the gate, but were pelted with stones and tomatoes. Later, the governor travelled to another part of the region where a demonstration ended in gunfire and arrests. "I expec­ted bigger consequences," al-Kiki says. "If one peshmerga had decided to stop al-Nujaifi, there would have been a big fight." Vice President Mohammad Qasim Fahim, known as a hard-liner, expresses his support for the upcoming peace conference. This is seen as a step forward in Hamid Karzai's expressed desire to reach a political settlement of the conflict. Whenever there's an election in Iraq, U.S. triumphalism follows. In a recent column, Peter Wehner, my PoliticsDaily.com colleague, touts George W. Bush's war in Iraq and joins others in the it-hasn't-turned-out-so-bad chorus. But these pronouncements serve as a reminder that it's rather easy to be a freedom fighter with somebody else's blood. MNF-Iraq (OIF) is reporting the death of a Multi-National Division - Center in combat operations in an undisclosed location in Baghdad, Iraq on Thursday, March 18th. #1: At least two people were killed and another one wounded in an armed attack today at dawn in Al Nada village, Diyala. Gunmen attached the village and opened fire on civilians killing two people and wounding a third one, sources said. #2: In Diyala, a police patrol found a bullet-riddled body in Al Saadiya District, police said. #1: Government aircraft attacked militant hideouts in the ethnic Pashtun-dominated northwestern region of Orakzai, killing at least 10 insurgents, political and military officials said. Thirteen militants were killed in similar strikes on Friday. #2: Three paramilitary soldiers were wounded when a mortar bomb believed to have been fired by militants struck a security checkpoint in Mohmand, government and hospital officials said. #4: At least 14 militants were killed in a fire exchange between Taliban and local residents in northwest Pakistan's Kurram tribal agency, local sources said Saturday. armed militants attacked the residence of Peace Committee members working against Taliban Friday night. In the attack two persons including a woman died and three other committee members got injured. In counter attack from Peace Committee 14 militants were killed and seven others injured. The situation is much tensed in the area. #5: The NATO-led International Security Assistance Force (ISAF) shot at a motorcyclist in western Herat province and the man succumbed to his injuries in a nearby hospital, police said Saturday. "NATO-led forces possibly Spanish soldiers opened fire on a motorcyclist Friday afternoon injuring him and he died due to his injuries in hospital," Deputy to provincial police chief Dilawar Shah Dilawar told Xinhua. The incident, he added, occurred in Shidai area outside Herat provincial capital of the Herat city. #1: The officials say the roadside bomb went off Friday morning near a market in Baghdad's teeming Shiite district of Sadr City. The explosion killed three people and wounded seven.The officials say the bomb was hidden under a heap of trash and detonated as shoppers started arriving. #2: In the second attack, gunmen shot dead an Iraqi soldier in southern Baghdad after breaking into his house. #3: One civilian was wounded on Friday morning by a roadside bomb explosion in northern Baghdad, a police source said. “The bomb exploded on the main street in al-Tarmiya region, northern Baghdad, injuring one civilian, who was carried to a nearby hospital for treatment,” the source told Aswat al-Iraq news agency, giving no further details. #1: A truck driver was killed and his son wounded by unidentified gunmen fire in southern Mosul city on Thursday, according to a local police source in Ninewa. “The gunmen opened fire at a truck near Dorat al-Sowas area in southern Mosul, killing its driver and wounding his son and escaping to an unknown place,” the source told Aswat al-Iraq news agency. #2: Police forces found two unknown bodies in southeast of Mosul, according to a security source. “The forces found the bullet-riddled bodies late Thursday (March 18) in a village in al-Namroud district in southeast of Mosul,” the source told Aswat al-Iraq news agency. “The corpses bore signs of gunshot wounds to the head and the chest,” he added. #3: One Iraqi soldier was killed and three more were wounded on Friday in a bomb blast in western Mosul, according to a police source. “An improvised explosive device went off targeting an army vehicle patrol in 17 Tamouz neighborhood in western Mosul, killing a soldier and injuring three others,” the source told Aswat al-Iraq news agency. #1: Six persons have been injured in an explosive charge blast in the capital Baghdad, a local security source said on Wednesday. “This evening, an improvised explosive device (IED) planted by unknown men in al-Waziriya neighborhood, northeastern Baghdad, hit a military convoy, wounding four civilians and two servicemen,” the source told Aswat al-Iraq news agency. #2: Seven policemen were wounded late Wednesday by a bomb explosion in northern Baghdad, a police source said. “An improvised explosive device went off targeting a police vehicle patrol near Sahet Adan in al-Hourriya neighborhood, northern Baghdad,” the source told Aswat al-Iraq news agency. #3: Unknown gunmen killed a woman on Thursday after storming her brother’s house in southern Baghdad, a police source said. #4: A taxi driver was killed on Thursday by gunmen while driving his car in northeastern Baghdad, a police source said. #5: Gunmen using silencers wounded an official working with the Iraq Human Rights ministry in the Ghazaliya district of western Baghdad, police said. #1: Security forces defused an improvised explosive device on Thursday on the road that leads to a university in western Karbala, according to the media director of the Karbala police. “The 20kg-C4 bomb was placed on the highway leading to the Ahl al-Beit university in western Karbala,” Major Alaa al-GHanemi told Aswat al-Iraq news agency. #1: Two Iraq security officers were kidnapped and killed by an armed group in the district of Shirqat, 280 kilometers north of Baghdad, Iraqi police announced on Thursday. Iraqi police told the German Press Agency dpa "An armed group kidnapped the two men, one of whom was in the army and the other in the police, while they were driving in a private car near Shirqat, and killed them shortly after." "Both bodies were found decapitated near the village where the victims lived," police said. #1: A suicide-bomber in southern Afghanistan blew himself up while putting on a vest of explosives, an official said. The explosion occurred in a house in Gereshk town in Helmand province Wednesday night. 'The blast also wounded a child,' a spokesperson for the local administration said. #2: Several people were injured in blasts in southwest Pakistan's Balochistan on Thursday, local sources said. At least two persons were injured in a blast in Khuzdar, police said. #3: Meanwhile, three people were injured in another blast near a school in Dera Bugti, a district located in the southwest of Balochistan province, police sources added. According to the police sources, unidentified men attached explosive device with a cycle and parked it at Achanak Chowk. Later, they detonated the explosive device with a remote control. As a result, three passerby suffered serious injuries. The injured were rushed to hospital. The British MoD is reporting the deaths of two ISAF soldiers in a roadside bombing approximately 20km north of Musa Qal'ah, Helmand province, Afghanistan on Tuesday, March 17th. MNF-Iraq (OIF) is reporting the death of a Multi-National Division - North soldier in an indirect fire attack on their Diyala province base on Saturday, March 13th. Two additional soldiers were wounded in the attack. MNF-Iraq (OIF) is reporting the death of a Multi-National Division - North soldier from non-combat related causes on Saturday, March 13th. No other details were released. MNF-Iraq (OIF) is reporting the death of a Multi-National Division - North soldier in a vehicle roll-over while conducting a patrol in an undisclosed area in northern Iraq on Monday, March 15th. Three additional soldiers were wounded. #1: Tuesday A bomb attached to a car wounded three people in southern Baghdad, the Baghdad security spokesman's office said. #1: Police also announced that the house of a former high-ranking army officer named Maged Mahmoud al-Zawbai was attacked with explosives by militants on Tuesday night in the area of Abu Ghraib, 20 km west of Baghdad. He was injured in attack. #1: twin bomb attacks in the town of Mussayab, 60 km (40 miles) south of the capital, killed eight people. The bombs went off within minutes of one another after attackers attached two bombs to passengers cars. Eight people were killed and 11 wounded when two sticky bombs exploded in separate attacks five minutes apart in the town of Mussayab, about 60 km (40 miles) south of Baghdad, police said. #1: A total of 15 civilians were wounded on Tuesday in two explosions in north of Hilla city, a police source said.“Two bombs, stuck to two busses, went off in north of Hilla on Tuesday (March 16), injuring 15 civilians,” the source told Aswat al-Iraq news agency. #2: A U.S. vehicle was burned on Tuesday as a result of a bomb explosion in north of Hilla, a security source said. “A bomb went off on Tuesday (March 16) near the main bridge in al-Mussayab district, north of Hilla, setting a Hummer ablaze,” the source told Aswat al-Iraq news agency. #1: A Christian shopkeeper was gunned down on Wednesday in the main northern Iraqi city of Mosul. "Unknown armed men driving an unmarked car killed Sabah Gurgis while he was on his way to work this morning," police Major Khalid Mahmud said. #2: One soldier was killed on Tuesday by a gun with a silencer at a checkpoint in western Mosul, according to a security source. “A gunman shot the solider using a gun with a silencer at an army checkpoint in al-Islah al-Zeraai neighborhood in western Mosul,” the source told Aswat al-Iraq news agency. #1: THREE Australian soldiers were almost killed when their armoured vehicle was blasted by a roadside bomb in Afghanistan. Two other Diggers also were wounded in the devastating blast near the main Australian base at Tarin Kowt.The infantry soldiers from the 1st Mentoring Task Force were blown up during a routine patrol as summer approaches and the "killing season" begins in the war against the Taliban. The three critically wounded soldiers were treated by combat medics and flown by helicopter to a nearby Australian-US medical centre on Tuesday night. But the coalition hospital was unable to treat the more serious injuries, so they were evacuated to Kandahar airfield, which is equipped and staffed to deal with critical wounds such as amputations and brain trauma. #2-3: Suspected U.S. drones fired missiles at vehicles and hit a militant hide-out in a tribal region of northwestern Pakistan on Wednesday, killing at least nine insurgents, two officials said. #2: In the first attack, the drones fired four missiles at a vehicle and flattened a nearby house near Miran Shah, the main town in the North Waziristan tribal region, killing six militants, an army and an intelligence official said. #3: About 50 minutes later, drones fired three more missiles at a vehicle in Madakhel town, about 25 miles (40 kilometers) west of Miran Shah, killing three insurgents, the officials said on condition of anonymity because they were not authorized to talk to the media. Other militants were also wounded in the two strikes, they said. #4: In Pakistan's southwest city of Quetta, an explosion destroyed a house, police official Mohammad Nawaz said. Police recovered a man's body as well as some literature about the banned Sunni extremist outfit, Lashkar-e-Jhangvi. Nawaz said authorities were trying to figure out if the victim was involved in bomb-making. #5: Meanwhile, men armed with rockets and petrol bombs ambushed a security checkpoint at Speen Qabar, near the Khyber tribal district, killing five police officers. #6: The same group is said to have fixed a bomb under a tanker carrying fuel for Nato forces in Afghanistan, causing the vehicle to explode on Wednesday morning. There were no reports of casualties. #7: Would-be suicide attackers targeted the offices of a charity in a southern Afghanistan city Wednesday morning but were killed by security guards before they could detonate their explosives-laden vests, an official said. One foreign employee was wounded in the attack on the office of International Relief and Development in the town of Lashkar Gah, said Dawood Ahmadi, spokesman for the government in Helmand province.Two gunmen wearing suicide vests burst into the compound that houses the IRD office. The first was shot by security guards and the second returned fire and was killed in the ensuing gunbattle, Ahmadi said. The charity offices are next to a government education department and officials initially thought that office was also under attack.Lashkar Gah is the closest major town to Marjah, where thousands of NATO troops have been fighting to oust the Taliban from their largest stronghold and operational hub in Helmand province. #8: Two children of a family sustained injuries when mortar shells fired by Afghan security personnel hit a house in Zakhakhel area in Khyber Agency on Tuesday, official sources said. The sources said that two mortar shells fired by Afghan security personnel from a border post hit a house in Khanak Killay in Zakhakhel area in Landikotal subdivision, injuring two kids. The names of the injured minors could not be ascertained. The mortar shells were fired by the Afghan security forces when Taliban, according to tribal sources, attack a checkpost of the Afghan National Army in Deh Bala district in Nangarhar province, near Pak-Afghan border. Both sides use light and heavy weapons against each other for several hours. The British MoD is reporting the death of an ISAF soldier at the Royal Centre for Defence Medicine at Selly Oak Hospital, UK, on Monday, March 15th. The soldier was wounded in an IED attack in the Musa Qal'ah district, Helmand province, Afghanistan on Sunday, February 21st. #1: A car rigged with explosives has went off near al-Mustansriya University in the capital Baghdad, eyewitnesses said on Tuesday. There has been no word on casualties yet. Three Iraqi policemen were injured when an improvised explosive device (IED) detonated near al-Mustansriya University in the capital Baghdad, the Iraqi police said on Tuesday. “This morning, three cops were wounded when an explosive device hit their patrol on Falasteen St. near the back entrance of the university, eastern Baghdad,” a police source told Aswat al-Iraq news agency. #2: Two civilians have been injured in an explosive charge blast in downtown Baghdad, a local police source said on Tuesday. “This morning, two civilians were wounded when a roadside explosive device exploded near the Shiite mosque of Abdulrasoul in al-Karada neighborhood, downtown Baghdad,” the source told Aswat al-Iraq news agency. #1: Police forces have found a body belonging to a policeman who was kidnapped a few years ago in al-Shurqat district, a local security source said on Tuesday. “A citizen told al-Shurqat police that he had found an unknown body in a farmland in Uweijila village, the left coast of al-Shurqat district,” the source told Aswat al-Iraq news agency. The body was found to belong to a policeman who was kidnapped by an unarmed group in late 2005, the source indicated. #1: Sahwa commander of al-Zab area survived an assassination attempt southwest of Kirkuk city, a local police source said on Tuesday. “A roadside bomb hit the convoy of Salman Ahmed Dikheel this noon in central al-Zab, 85 km southwest of Kirkuk,” Police Brigadier Sarhad Qadir told Aswat al-Iraq news agency.He said the blast left one of the convoy’s vehicles damaged, without causing any casualties. #1: Two unknown gunmen have detonated the house of a policeman in Falluja City, but no casualties were reported, a local police source said on Tuesday. “This morning, unknown gunmen blew up a house belonging to a policeman in al-Karma district, eastern Falluja,” the source told Aswat al-Iraq news agency. #1: A suspected US drone strike killed at least 11 militants Tuesday in Pakistan’s tribal region near the Afghan border, an intelligence official said.Several more people were injured in the aerial strike in the Datta Khel area of the North Waziristan tribal district, a known hub of Islamic militancy. An intelligence official who spoke on condition of anonymity said four missiles were fired from a drone at two insurgent camps in the mountains. #2: An Australian soldier in Afghanistan was wounded by insurgents almost a month ago, defence has revealed. In line with the new policy of disclosing all incidents in which Australian troops are wounded, defence said the soldier received a soft-tissue injury. The incident occurred on February 21. The soldier, from the First Mentoring Task Force (MTF-1), was hurt while taking cover after his patrol came under insurgent small arms fire in Mirabad, north of Tarin Kowt in southern Afghanistan. #3: According to police, unidentified men hurled a grenade on a house in Kharotabad in outskirts of the provincial Quetta. The explosion killed Mussa Khan, owner of the house, and injured his son, Wali Muhammad (18). The attackers escaped from the site after committing the crime. #4: According to official sources, four persons, including a policeman, sustained injuries when unknown men lobbed a grenade on a police vehicle at the Post Office Road. #5: Similarly, a hand grenade was also hurled at a FC at Seerat Chowk, around 30 minutes after the first attack, injuring three FC personnel. #6: In another incident, the driver of a tanker carrying fuel for NATO forces inAfghanistan was injured at Dadhar area when unknown armed assailants sprayed a volley of bullets on the tanker with sophisticated weapons. Resultantly, the driver, Bakhtiar Khan, sustained serious wounds and rushed to a hospital. #7: Six people were killed as a roadside bomb struck a civilian car in Taliban birthplace Kandahar in south Afghanistan on Monday, a press release of provincial administration said. "The incident occurred in Shah Walikot district at noontime as a result six civilians were killed," the press release added. #8: Militants attacked German troops in Chardara district of Kunduz province in north Afghanistan, an official said Tuesday. "The attack occurred in Qasab village on Monday evening when the German and Afghan forces were attempting to establish checkpoints in the area," an official with the press department of Germany's Provincial Reconstruction Team (PRT), Morten told Xinhua. Giving only one name, the official also admitted that two military vehicles were slightly damaged in the fighting lasting for hours. There were no casualties on the troops, adding the militants after suffering casualties fled the area.